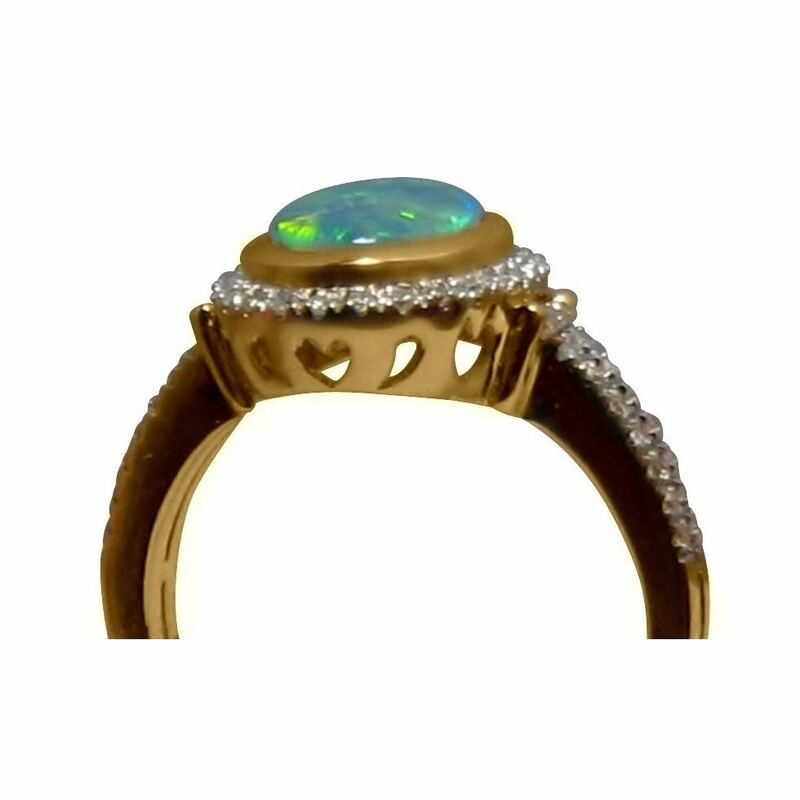 Womens Opal ring with round and baguette diamond accents in 14k Gold. 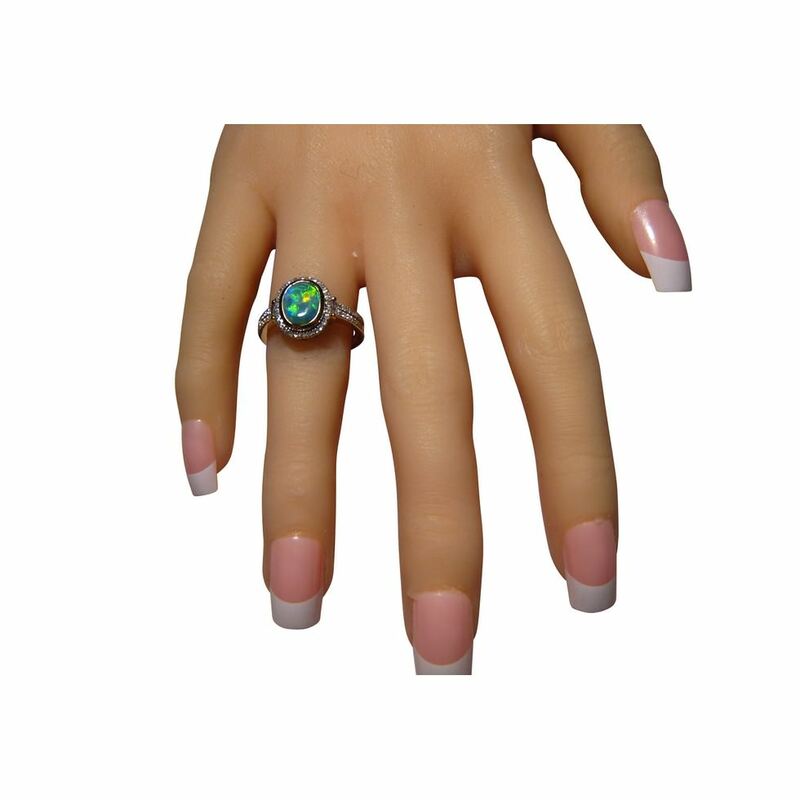 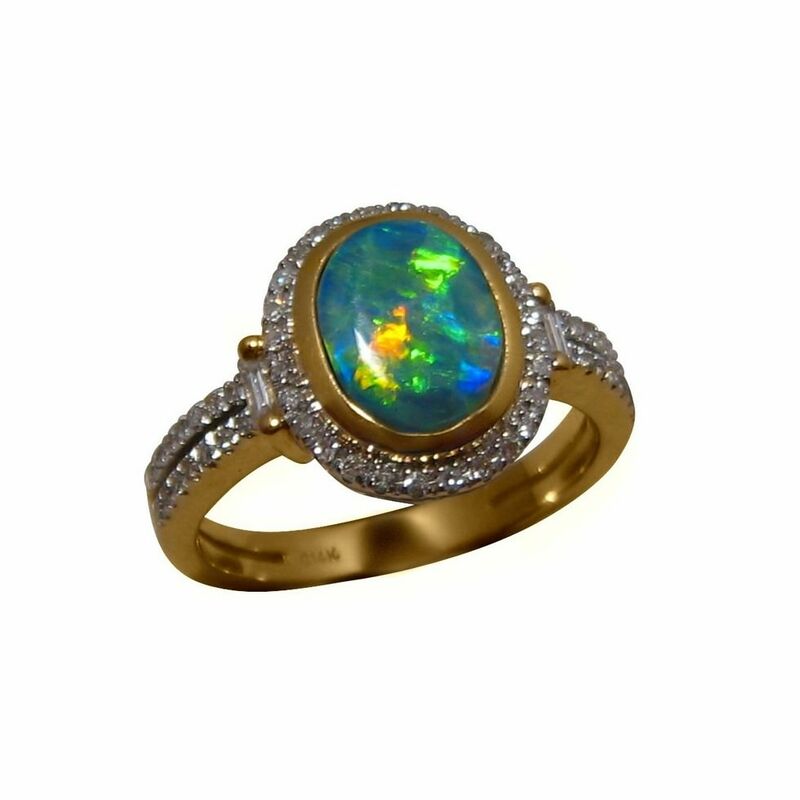 A Harlequin Opal Ring with round and baguette Diamond accents of good quality. 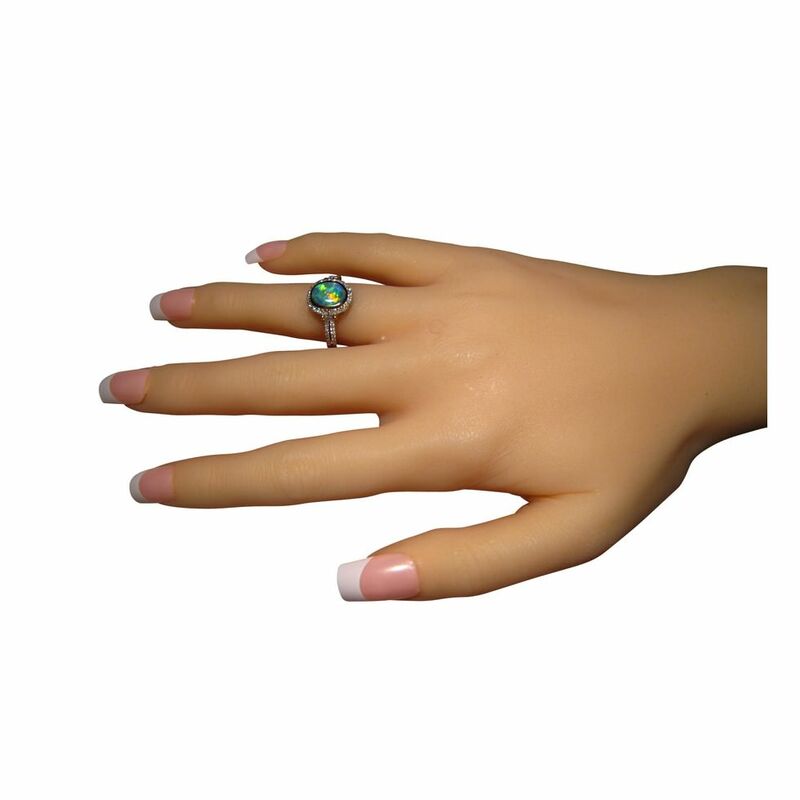 The oval Lightning Ridge Opal has an uncommon mix of colors which are very bright and these flash in the best of patterns which you will see in the video below. 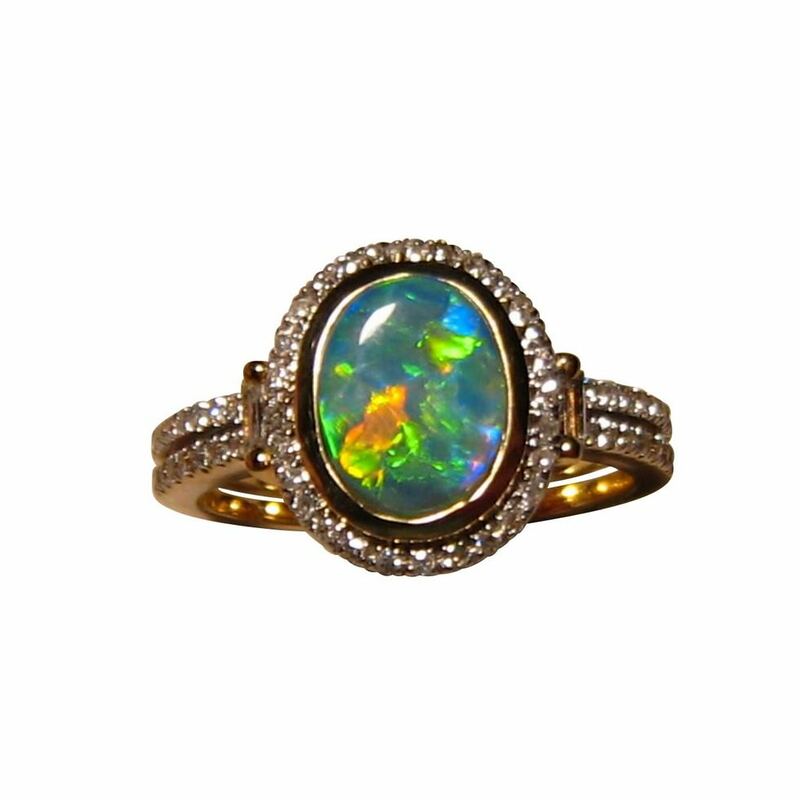 A beautiful Opal ring that is shown in 14k Yellow Gold which makes the Gold and Orange stand out and is ready to ship as advertised or will take 14-21 days for any other ring size or Gold color. 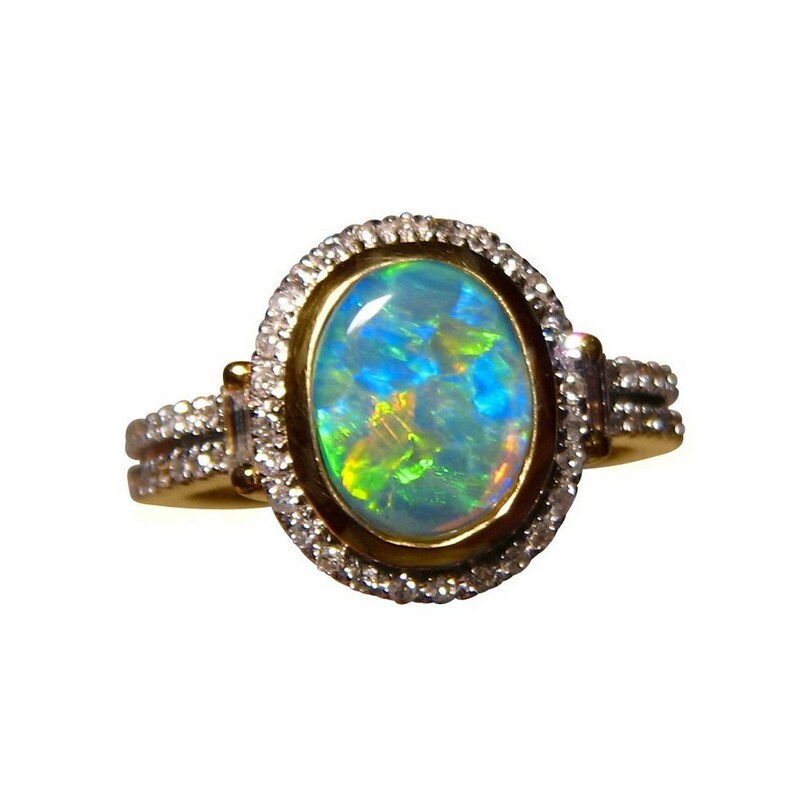 The Opal will be secured to the ring after sale.